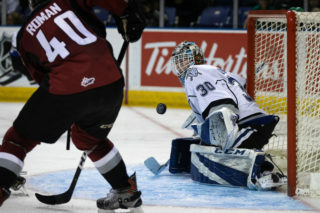 Victoria opens Pre-Season with 6-5 shootout victory over Kelowna. 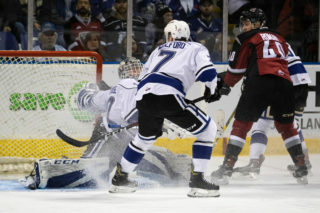 Kelowna, BC – The Victoria Royals defeated the Kelowna Rockets 6-5 as rookie Alex Bolshakov scored the shootout winner, and first year netminder Brock Gould stopped five of the six attempts he faced, on Friday night. 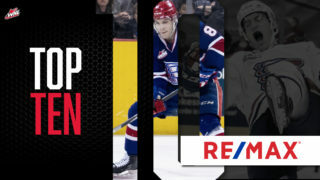 Royals – Alex Bolshakov 1g-0 (Shootout Winner), Phillip Schultz 2g-1a, D-Jay Jerome 1g-1a, Parker Malchuk 0g-2a, Tyler Lees 1g-0a, Tanner Sidaway 0g-1, Mitchell Prowse 0g-1a, Remy Aquilon 0g-1a. Rookies: Victoria went with a young line-up in tonight’s game as they dressed 13 rookies and seven veterans. The Rockets countered with 12 veterans and eight rookies. 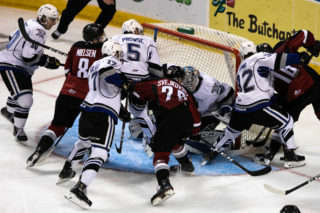 Get Shorty: Royals’ forwards Phillip Schultz and D-Jay Jerome both scored during the same penalty kill, as their goals took place 24 seconds apart to open the second period. Sitting Out: The Royals scratched 20-year-olds Dante Hannoun, Ralph Jarratt, and Griffen Outhouse along with veterans Kaid Oliver, Igor Marynov, Matthew Smith, Joel Grzybowski and rookies Tyus Gent and Keegan Maddocks. 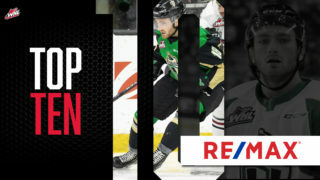 NHL Camps: Victoria forwards Matthew Phillips (Calgary Flames), Tanner Kaspick (St. Louis Blues) and Lane Zablocki (Detroit Red Wings), along with defenceman Scott Walford (Montreal Canadiens) have all been left off of the team’s pre-season roster as they are attending NHL training camps. 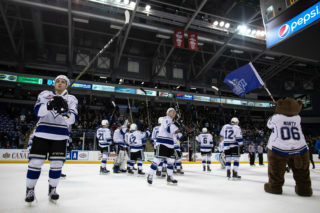 Next Up: The Royals will head to Kamloops tomorrow night to take on the Blazers. Puck drop is at 7:00 p.m.